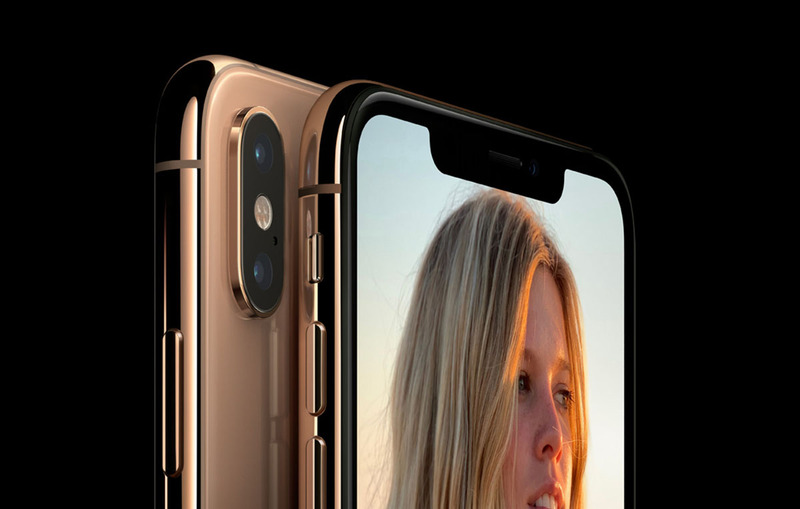 Apple’s release of the iPhone XS and iPhone XS Max marked a new milestone for the company in terms of screen size. This year, the company has released its biggest iPhone to date with a 6.5-inch screen. While both variants feature identical specifications, the larger variant is a clear favorite among buyers. Since its launch, the device has been in a consistent phase of testing. 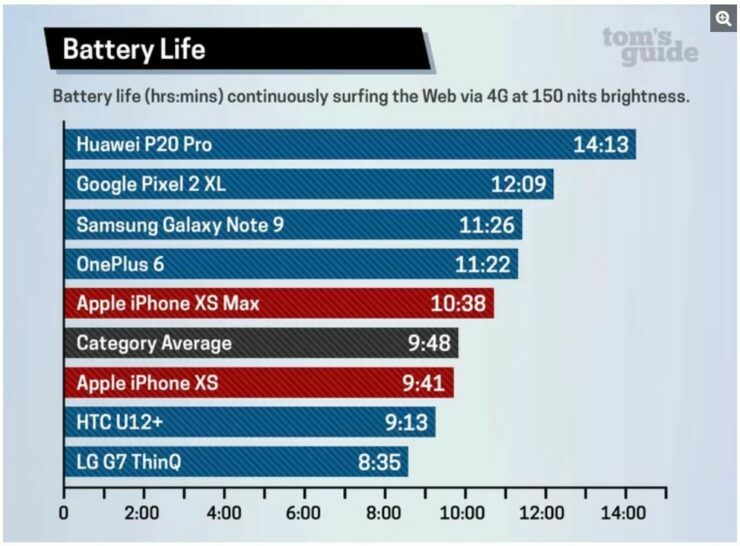 Now, a new web browsing battery life test show that the iPhone XS and XS Max ranks below last year’s iPhone X. Let’s see some more details on it. Folks over at Tom’s Guide have revealed a detailed battery life test for the iPhone XS and iPhone XS Max. While both devices did pretty well in the test, the former flagship, the iPhone X ranked better. The battery life test involved continuous web browsing with the brightness of the screen set at 150 nits on T-Mobile’s 4G network. As per the results, the iPhone XS Max lasted 10 hours and 38 minutes while the smaller variant lasted for 9 hours and 41 minutes. Battery life on the bigger iPhone models has always been quite well. However, in this test, the iPhone XS Max failed to secure the top spot and fell behind major Android smartphones like the Galaxy Note 9, Google Pixel 2 XL, OnePlus 6 and the Huawei P20 Pro. Before we jump to conclusions, we have to note that the iPhone XS Max supports a smaller battery than its Android competition. For instance, the Galaxy Note 9 and the Huawei P20 Pro supports a massive 4,000mAh battery. The iPhone XS ranked a little below the average battery time of the entire category. Now moving towards last year’s iPhone X. It is surprising to note that the device, despite being smaller scored 10 hours and 49 minutes, higher than this year’s bigger iPhone. Apple at its keynote suggested that the iPhone XS features 30 minutes more battery life than the iPhone X and up to 90 minutes longer on the XS Max. In the web browsing battery life test, the iPhone X beats the latest flagship duo for sure. However, be sure to note that the test involved only web browsing. The real-world performance will be better on the latest devices as they are equipped with the latest 7nm A12 Bionic chip whose low-power cores are almost 50 percent more power efficient. There will be more to the story, so be sure to stay tuned in for more. This is all for now, folks. What are your thoughts on the battery life test for continuous web browsing on the latest flagship iPhones? Let us know in the comments.